EOBDII.FR New Contact Information Updated! If you want to visit our website, you can open the website directly from www.eobdii.fr. Or you can use the shortener URL to open from: http://goo.gl/jFx4or or http://bit.ly/1NICNy4. 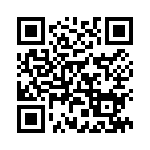 If you want to chart with us or want to make a concern,pls sweep the QR Code. EOBDII.FR Shop July Promotion, 6% off for 2015 New! Best Price MB SD Connect Compact 4 Wireless Star Diagnosis Support WIFI with V2015.07 HDD! Best Choice for the WINDOWS 10: VPECKER Easydiag Wireless OBDII Full Diagnostic Tool! Free Gift plus 6% Storewide Discount for Thanksgiving, Stock Up Now! This entry was posted in Appareil De Diagnostic Professionnel, Mise à jour Nouvelles and tagged french obd tool on December 2, 2015 by sales.